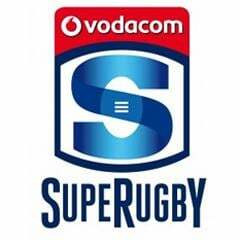 Cape Town - Retired South African referee Jonathan Kaplan says the Stormers have the right to feel aggrieved with decisions that went against them in their 25-20 Super Rugby loss to the Hurricanes in Wellington last weekend. The Hurricanes scored three first half tries to lead 25-3 at the break, before the Stormers hit back with 17 unanswered points in the second half to claim a losing bonus point. However, question marks were raised over the legitimacy of all three Hurricanes tries. Australian referee Rohan Hoffmann was heard apologising to the Stormers for missing a knock-on from Hurricanes captain Conrad Smith when the visitors were 5m out from their opponents' tryline. The Hurricanes countered up-field and went on to score. Julian Savea’s try was also debatable as it looked like fullback Nehe Milner-Skudder’s pass to the wing went forward, but New Zealand TMO Chris Wratt disagreed, while there were also illegalities leading up to lock Jeremy Thrush’s length-of-field try just before half-time. Kaplan commented on the match via his website, www.ratetheref.co.za. He wrote: "There were significant errors in the first half that should not have happened. All three ‘Canes tries had huge question marks over them (knock on, forward pass and illegal steal). All three decisions went in favour of the home team. At half-time the game was done. “I do not believe the referee (Hoffmann) deliberately set out to have a poor day, but the consequence of this was a blow out in score, with absolutely no recourse for the victims. It’s not great to be apologising in running as this does little to offset the frustration of the multitude of decisions that appeared to the players to be going against them. The white card may have helped in part, but even then, the TMO didn’t rule the pass from Milner-Skudder as being forward." 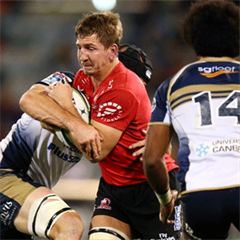 Kaplan also referred to the second-half incident which saw the Stormers penalised for 'changing lanes' when they looked set to score from a lineout driving maul.